Mom Are We There Yet is excited to invite you to enter this fabulous giveaway from The French Connection Lori's Salt Caramel Syrup . This delicious syrup can be used for all sorts of things. Add on breakfast items like waffles and pancakes. Add to a dessert for an extra sweet treat. You can see the review and awesome recipe for Chocolate Peanut Butter Scotcheroos with Lori's Salted Caramel Syrup. 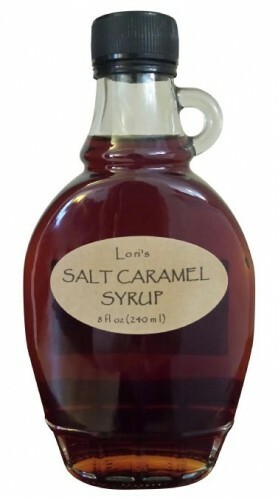 Right now two lucky winners have the chance to win two bottles (four bottles total in the giveaway) of Lori's Salt Caramel Syrup . Winner must live in the Continental U.S. and be of the age 18-years-old, or older. This would be good on some banana but waffles. This would get put to good use if I won it. I would have this on vanilla ice cream. I would put them on banana pancakes.